Harry Maxim is a major with British Military Intelligence. Maxim wondered why the Prime Minister wanted someone from Military Intelligence to fill a new, unspecified position at 10 Downing Street. He also wondered why he was the one chosen. He was certainly good at his job, experienced and with a clean record, but that hardly answered the question. He never did find out. But he was chosen and reported for duty in the civilian world of Intelligence, acting on the PM's behalf and doing things that would never get recorded in any official record. Not part of the Old Boy network in the military, Maxim had risen as far as he was likely to unless a new war broke out somewhere and there were none on the horizon. Plus there were the mysterious events which occurred after his wife was killed in a plane explosion, events that left a fair number of terrorists dead, culminating in an injury that left him in the hospital for six months. A lot of questions were asked and no one was willing to answer any of them, least of all Maxim. Now healed and in superb shape, Maxim took the new posting as a matter of course. Since no one was telling him exactly what he should be doing, he continued to do what he did at M.I., check into things that looked interesting. Outside of work, Maxim’s life is pleasantly plain, if quite lonely with the loss of his wife. He is left to raise his son, age 10 or so, by himself though he does have his parents to call upon when the need arises. And there is his sister with whom he still has routine sibling squabbles. As the series progresses, his assignment changes but he remains working in one capacity or another with the same group. Deciding he needed a change from his writing diet of outdoor adventures and working with the BBC to create a cerebral agent attached to 10 Downing Street, the author constructed the idea of Harry Maxim and wrote the first novel. 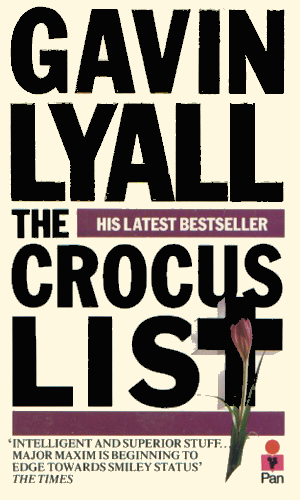 While the series was never produced, Mr. Lyall enjoyed the character and did three more adventures. 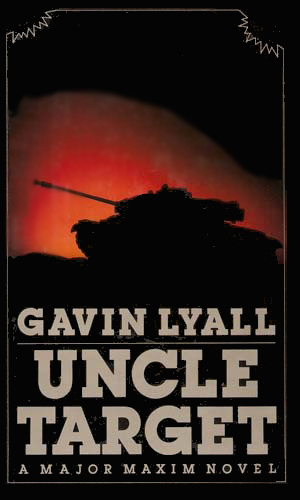 Harry Maxim's first major assignment for the Prime Minister is the investigation of Professor Tyler, a man of considerable influence in governmental arms procurement and possibly with something to hide. A letter is said to exist which explains all and people are dying to get it. A corporal, working under orders from the Secret Service, has killed a German bureaucrat and then disappeared. Harry Maxim is sent to find him but keeping him alive to find out what is the truth is going to be the hard part. The assassination attempt on the visiting President had KGB written all over it but to Harry Maxim that made no sense as peace talks about Berlin were nearing. Someone else might be setting the Soviets up. A prototype for a new generation of tank has been loaned to the Jordanians for trials in their arid land. Now it has disappeared and Harry Maxim is sent to help smooth ruffled feathers and see what he might learn. A three-part adaptation of the book of the same name. For spycraft, specifically counter-espionage, this is a darned good series. For writing style, pacing, character development, and the like, it is top notch. The four Maxim books will make you wanting more. 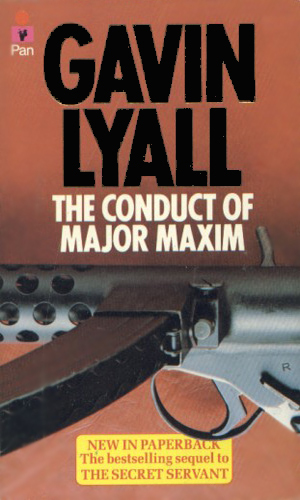 I lucked into Mr. Lyall's terrific writing with his first two books back in the early 70's. I read several while stationed overseas. Coming back to the States, getting his books proved too hard in the days before the Internet to let me know they were there and Amazon and others to help me get them. I never knew he had written the Maxim series until I started this compendium research. I'm glad I found out. All the ingredients were there but the Maxim books just failed to thrill me. I have to say, I found them boring. 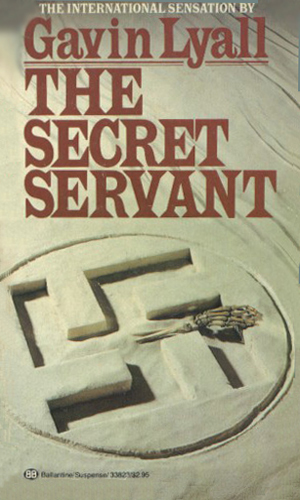 Just a quick note that back in 1984 or 1985 the BBC brought Harry Maxim to tv in "The Secret Servant", a three-part adaption written by Brian Clemens that starred Charles Dance.